My daughter is a very picky eater. Getting her to eat healthy can be a challenge. So I decided to create a recipe she would like that focused on blueberries. Not only are they a super food and taste good in spring, they are also my daughter's favorite berry. 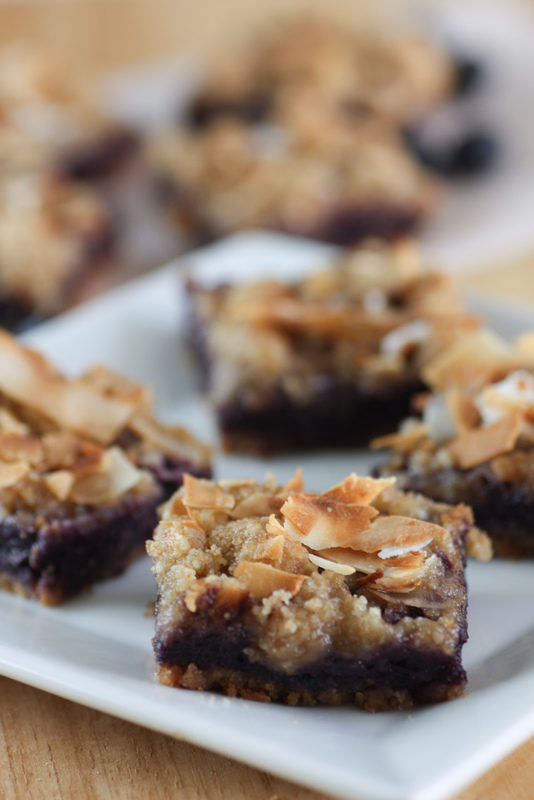 Here is my delicious coconut blueberry bar recipe, perfect for the picky eater. 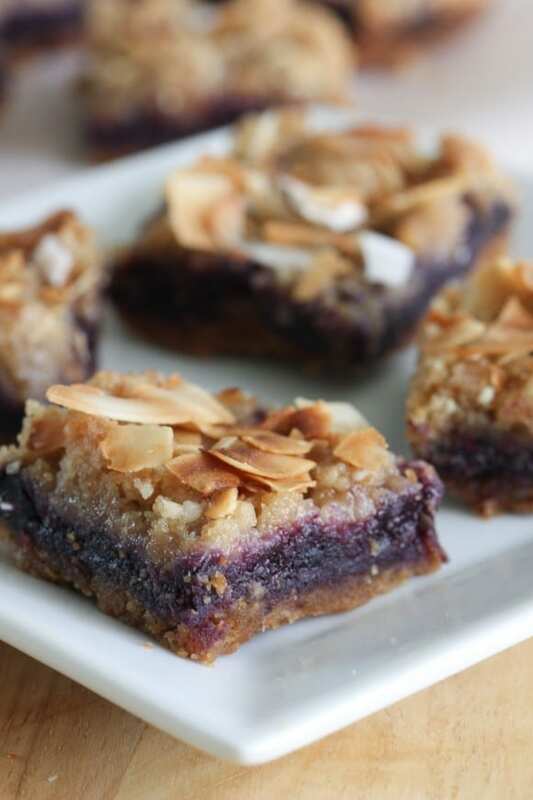 What makes these blueberry bars so successful is the blending of flavors. 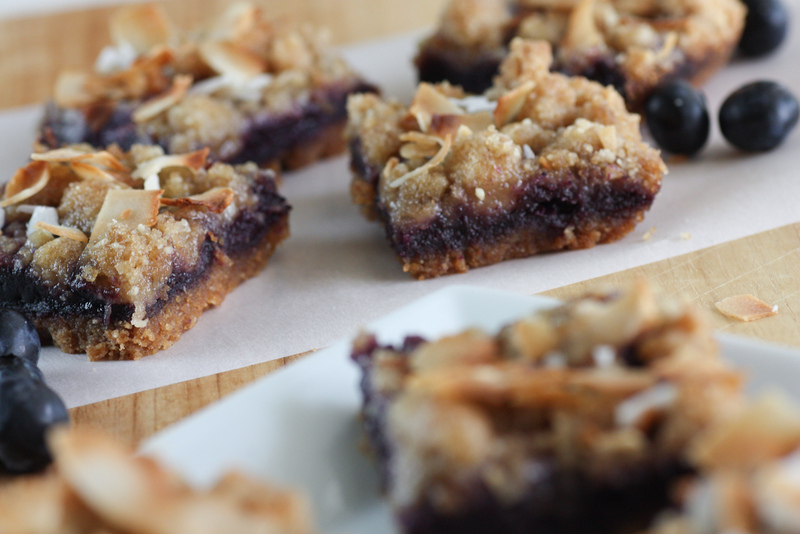 There's nuttiness and a touch of saltiness from the almond flour in the crust, tartness and fruitiness from the blueberries (with no added sugar), sweetness from the crumble, and crunch from the sprinkled toasted coconut slices. Melt the butter (about 30 seconds on high in the microwave). Put the graham crackers, almond meal, and salt into a food processor and pulse until broken down into crumbs. Add the melted butter and pulse until combined. Coat pan with cooking spray. Spread the crumbs along the bottom of the pan, and pat down to form the crust. 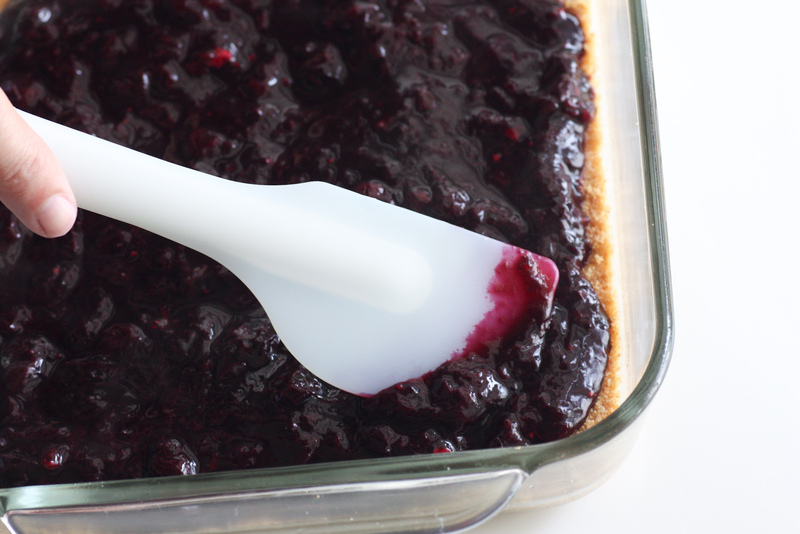 Put the blueberries in a saucepan over low heat. 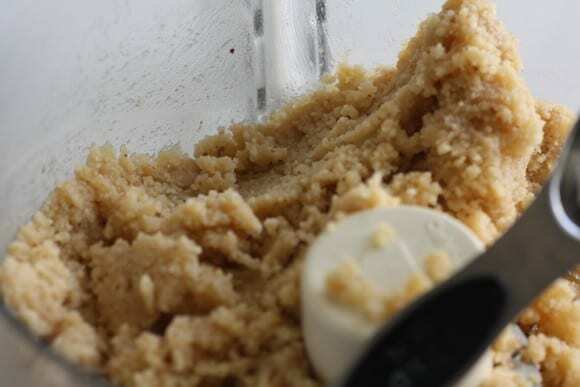 Mash them with a fork a bit to get the juices flowing. Add the lemon zest and lemon juice (lemon, lime, or orange would all work well with blueberries). Simmer for about 20-30 min, stirring occasionally until it thickens. 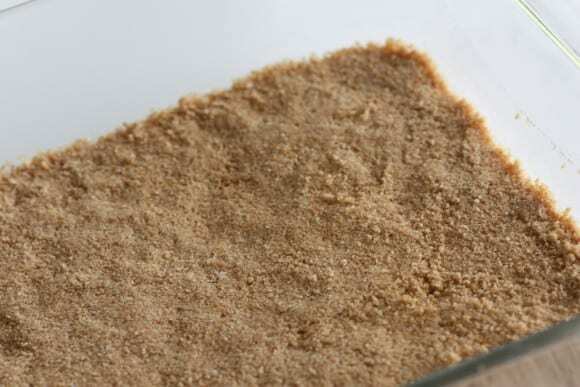 If you are in a rush, you can simmer for 10 minutes and add a teaspoon of cornstarch to thicken. Let it cool for 5 minutes, then spread it on top of the bars right up to the edge, but leaving a little bit of crust exposed. 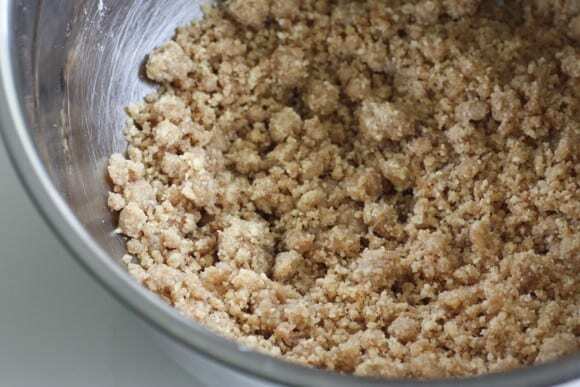 Add 1/4 cup brown sugar, 2 tablespoons of granulated sugar, 1/2 cup of flour, 1/4 teaspoon of salt, and 1/4 cup of almond meal to a mixing bowl, and stir until combined. 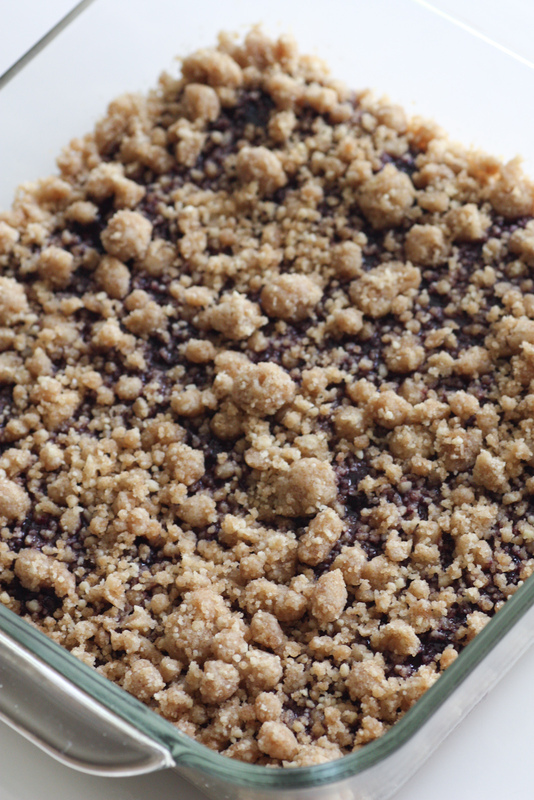 Pour in a 1/4 cup of butter, and work with your hands until it starts to clump and look like crumble. Sprinkle the topping onto pan. Bake at 350F for about 45 minutes, until the topping is nicely browned. Toast 1/4 cup coconut slices in the toaster until golden brown. Sprinkle on top of the bars. Eat and enjoy! The best part is that these bars are filled with all whole ingredients, and as a mom, I feel really good about serving them to my family (and my picky daughter)!